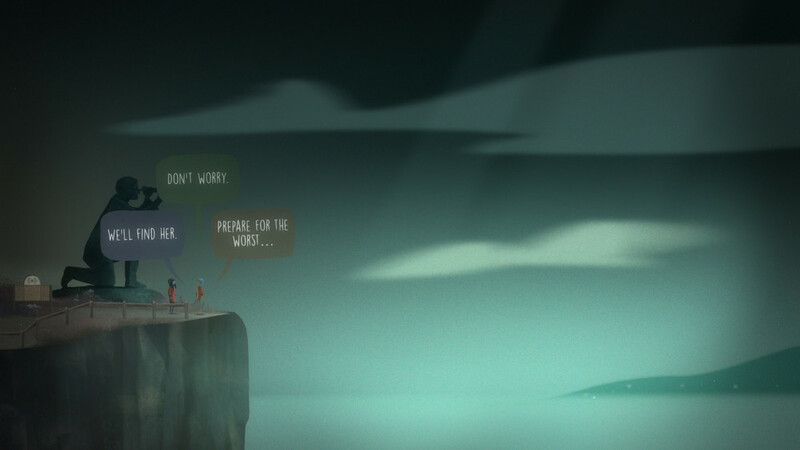 Oxenfree is a simple game that wrestles with the not-so-simple issue of people holding onto the things that hurt them. Oxenfree puts you in the shoes of troubled teenager by the name of Alex as she and a group of her peers go on a get-away trip early in the game and unknowingly trigger a supernatural force that haunts the teenagers throughout the adventure. The overall plot didn't grip me as much as the relationships I built with the other characters throughout the 4 hour story. The voice-acting in the game sounds incredibly believable and the conversation tree is simple and fluid. The majority of gameplay in Oxenfree consist of you and one other member of the group walking across the map from one point to another. There are a few areas where you are asked to solve very simple puzzles to progress, but there isn't much more than that in terms of gameplay. There isn't any combat system to master or enemies to defeat. I found the lack of any notable puzzles to be disappointing. Oxenfree constantly asks the player to cover long distances, but doesn't really give you much to do while traversing those distances. The lack of gameplay is offset by the abundance of dialogue, though, and what itlacks in gameplay it nearly makes up for in the narrative. There aren't really any quiet moments in the game. While you traverse the beautiful hand-drawn island, other characters will frequently engage in conversation with Alex. These conversations are really what stood out most to me in the game. Alex is trying to get over the recent death of her brother and has a new step-brother named Jonas she is trying to build a relationship with. Other members of the group include Alex's stoner best friend Ren, who brings some comic relief to the game at times, Clarissa, and Nona. Each of these characters have their own backstory that you begin to learn the more time you spend with them. Alex and the other group members frequently have disagreements and arguments about events in the past as well as their current predicament. During these tense moments, Oxenfree didn't hesitate to force me to choose a side quickly. Decisions like this can drastically improve or lower your relationship with other characters. I found the majority of the topics and discussions that were brought up to be very interesting and well worth my attention, so the continual flow of dialogue wasn't really an issue for me. What was an issue however, was the overall lack of influence my choices had on the story. The game does a stellar job using choices to build relationships with different characters, but the multiple endings to the story didn't vary enough and most of my choices seemed to have little to no effect on the conclusion. 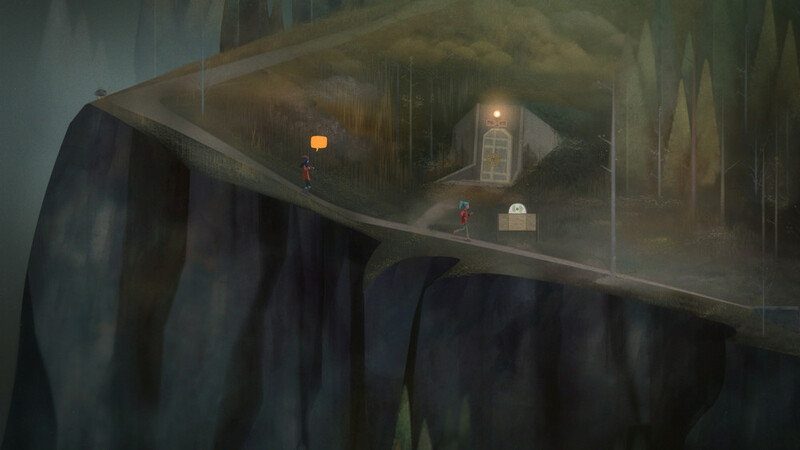 As mentioned earlier, Oxenfree features gorgeous hand drawn environments. To add to these environments is an immersive score that does a superb job of adding the mysterious supernatural theme the game is going for. Multiple times in the game, Alex must use a radio to tune into specified frequency in order to contact the other side or progress in the story. During these interactions, the art style really shines as the screen distorts in some pretty clever ways. Unfortunately the camera is pretty far away from the characters which I found to be somewhat of an annoyance. I would have rather have the camera zoomed in closer to the screen to get a better view on the character and environments. Whispering Willows has some pretty interesting ideas but most of them are never truly realized. Stick it to The Man is a short adventure but one worth playing. The fun puzzles, beautiful environments, and peculiar characters makes Rae Doewood's insane journey an extremely enjoyable and intensely hilarious experience. 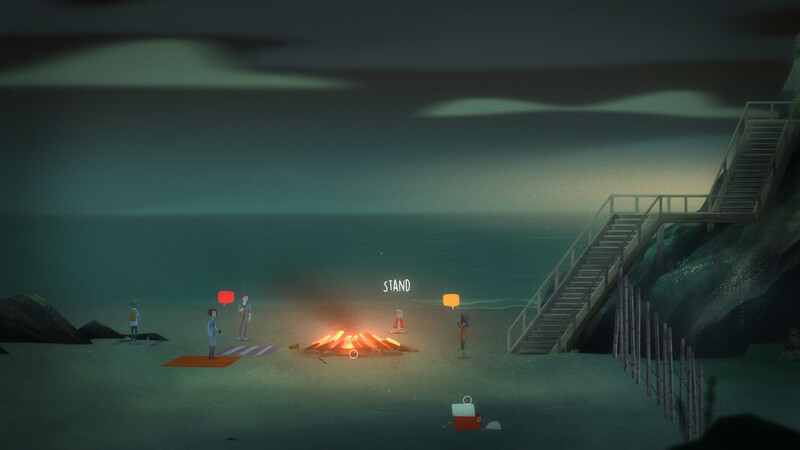 Oxenfree has a fabulous soundtrack, well written dialogue, and it takes some bold steps into territory that's rarely tread in games. The island Alex and company find themselves trapped on holds many secrets, but none of them seem to warrant discovery.